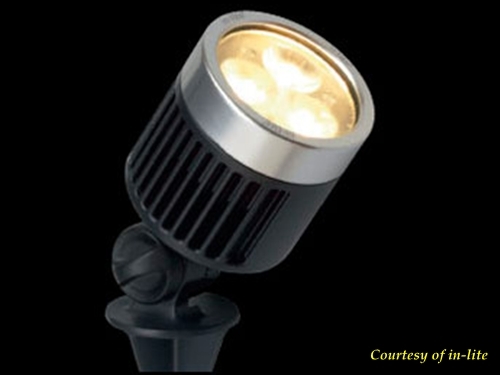 Spotlight in charcoal grey coated aluminum finished with a stylish anodized aluminum ring. Provides an atmospheric beam of light. Ground stake included, base plate and interim part available separately.